In his first career All-Star game, Nikola Jokic had a solid night as he finished with a stat line of six points and nine rebounds on 3-of-4 shooting from the field in 13 minutes of action. 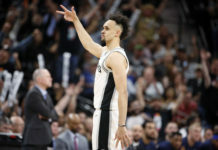 It would be Denver Nuggets head coach Michael Malone and Team LeBron that prevailed though as they picked up a 178-164 victory over Jokic and Team Giannis. 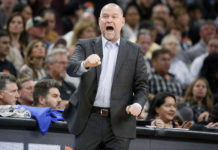 In his first time coaching the All-Star team, Malone got the win, which is well deserved for the work he and is staff have put into the Nuggets success so far this season. As for Jokic, his first All-Star game points came off a nice full-court pass by Giannis Antetokounmpo for the easy lay-in. Just a few minutes later, Jokic scored another bucket, but this one came in a more unconventional way for the Nuggets big man. After one quarter of play, Jokic finished with six points on a perfect 3-of-3 shooting from the field to go along with his four rebounds. Jokic added three more rebounds in the second quarter to finish with six points and seven boards going into the halftime locker room. As solid as Jokic’s stat line was, his most memorable play of the first half might have been this out of bounds play he made against LeBron James. 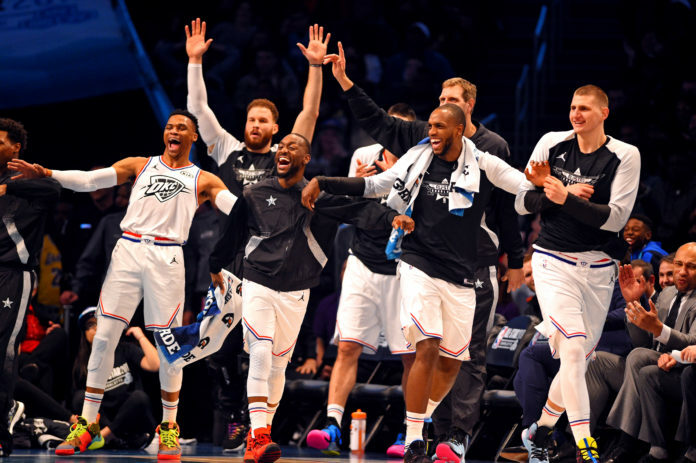 That play was Jokic’s night in a nutshell as he really seemed to be enjoying and soaking in his first All-Star Game experience, which only continued in the second half. Even though Jokic and Team Giannis had a 13-point lead at halftime, James and his squad would not go quietly as they tied the game at 127 with 2:22 left in the third quarter. Team LeBron would end up taking a 132-131 lead into the final 12 minutes of play as Jokic had six points and nine rebounds on 3-of-4 shooting from the field through three quarters. Jokic finished with that same stat line as he got no fourth quarter playing time, but he still put up solid numbers in his 13 minutes of action. As for the remainder of the game, it was a back and fourth battle between Team Giannis and Team LeBron. 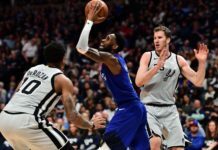 Whether it was Stephen Curry making almost every shot imaginable or most three-pointers finding the bottom of the net, scoring certainly stole the show in the final quarter of play. Because of that, the final scored ended up being 178-164 in favor of Team LeBron as Malone ended up on the winning team and Jokic on the losing squad. Malone and Jokic will be back on the same sideline Friday night when Denver is back in action against the Mavericks in Dallas.